Intimate Acoustic Performances in a Nashville Recording Studio! Join NBC's the Voice Runner Up & #1 Billboard Record Artist Meghan Linsey & artist/producer Tyler Cain for a once in a lifetime evening! Find out why Rolling Stone compares Meghan's powerhouse voice to the likes of Janis Joplin and Amy Winehouse. SECRET SHOW NASHVILLE...SHHH IT'S NASHVILLE'S BEST KEPT SECRET! 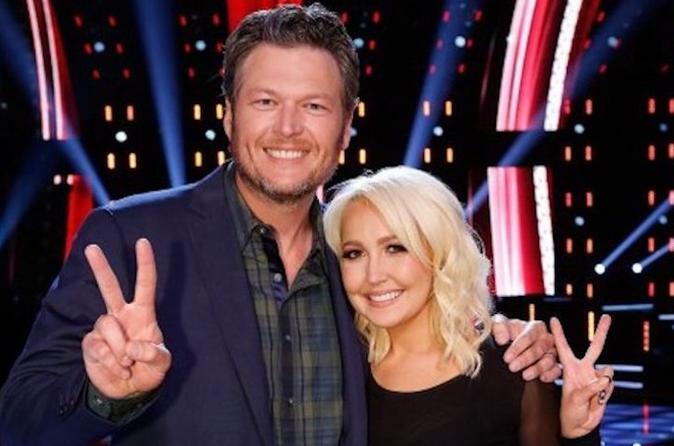 Join NBC's the Voice Runner Up & #1 Billboard Record Artist Meghan Linsey & artist/producer Tyler Cain for a once in a lifetime intimate acoustic concert! Find out why Rolling Stone compares Meghan's powerhouse voice to the likes of Janis Joplin and Amy Winehouse. Venson’s “…astonishing mix of raw soul, superb musicianship and laid back grace…” (Austin American Statesman) has been compared to Amy Winehouse & fellow Austin native Gary Clark, Jr. Jackie made the leap from the tradition of classical music to the raw and gritty blues & soul. Tyler Cain’s current single “Back to Me” can be seen on CMT. His unique singer/songwriter style has made him a staple of the Nashville scene! You will feel the heartbeat of what makes Music City so unique when you step into the doors of BOLD Studio Nashville in Nashville's famed Berry Hill area. Take a seat in one of the pews from the set of the hit TV show NASHVILLE, and enjoy a performance of songs and stories from acclaimed recording artists in this unique setting. Once guests have booked their tickets for the performance, we will email the address and instructions on how to get to the recording studio. Guests are responsible for their own transportation to the location. The recording studio/venue is located a short 7 minutes from Downtown Nashville in the historic Berry Hill area. Since the performances are happening in a Nashville-style listening room type setting, please arrive at the studio 10-15 minutes before the performance begins to allow time to get seated beforehand. During the show, photography and video are allowed too. Following the performance, artists will hold a meet and greet inviting guests to take a picture on our red carpet & meet them. We look forward to seeing you there!